With the first few postings focusing on our teammates’ marathon training, it’s time for a post on the shorter intervals. 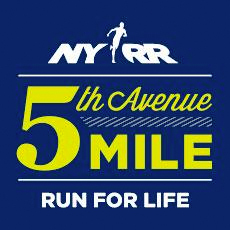 Several folks have asked about Thursday’s(tonight) workout on the “5th Avenue Mile” plan so let me explain. It comes from my college running days and, as a distance runner, it was one of the most difficult workouts on my schedule but it serves as a great transition from strength workouts into speed workouts. The physiological purpose of the workout is to put yourself into oxygen debt fairly quickly as the acidosis discomfort will mount by repeat 3-4. This is the same acidosis encountered around the 1000m mark in the mile so teaching the body to process acidosis more efficiently will delay this onset. Mentally, the workout provides an added bonus of highlighting that the body can endure the discomfort brought on by acidosis build up and you can push through it to achieve your goal. The first part of the workout is to determine your goal interval time. Convert your goal mile time into a 2-mile time by multiplying the mile time by 2.13. Once the 2-mile time has been calculated, break it down to a 300m segment and that is your goal time for the workout. For example, if your goal is run 6:00 at 5th Avenue Mile, performance calculators say you should be able to run 2-miles in 12:45. That breaks down to ~96 seconds for 400m and ~72 seconds for 300m. Pace charts will be available for other distances as well. Now, the workout: Eight 300m intervals in your goal time with 100m jog rest. As mentioned, the short rest will not allow the lactic acid built up in the legs to fully dissipate but push through the workout. Strength built from the casual miles run during the week will get you through the workout. For an added challenge: Completing 8 intervals in goal pace with no exceptions. If the interval is not completed in the goal time (rounding up to nearest .99 on the watch), the interval does not count. Yep, you read that right. You MUST complete the interval in the goal time or it does not count. The workout ends when you complete eight intervals at the goal time or when 12 intervals are complete – whichever comes first. This means the workout can be over in as little as eight intervals or take as many as twelve. Make sense? Please let us know if you have any questions. We should all be at the track tonight so see you there!